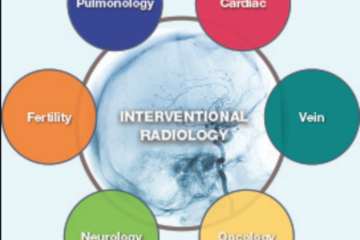 The Society of Interventional Radiology (SIR) offers exceptional learning events for medical students interested in exploring the field of interventional radiology (IR). With the goal of developing the next-generation of interventional radiologists, Medical Student Days at the annual conference provide an unprecedented opportunity to network with like-minded peers and learn from residents, fellows, and attending physicians who have walked the path you are about to embark upon. The people you meet at SIR are interested in nurturing your growth and are invested in your potential to contribute to IR. You will walk away from the conference with new friends, new mentors, and new projects to explore. SIR’s dedication to medical student development and mentorship is evident in the specially-designed agenda at this year’s conference in Atlanta, GA. Geared specifically towards students, the sessions covered the past, present, and future of IR with an emphasis on information that helps individuals determine their area of interest in IR and provides opportunities to get involved by joining on-going projects or creating new roles. This year’s sessions revolved around the idea of IR as a field at a seminal crossroads in the evolution of its training. Importantly, the sessions offered direct contact with individuals who are critical to the development of IR as a new specialty. Students had an opportunity to meet residency program directors at the helm of the first IR/DR Dual Certificate programs. Question and answer panels with these individuals clarified the new pathway for IR training and the options medical students will have as IR residencies transition to the new model. Program directors emphasized the importance of developing physical exam skills and understanding patient management during your third and fourth years of medical school as your mastery of information and technique will be surely be called upon during your internship, residency, and daily practice of IR. Program directors also debated the value of a medical internship vs. surgical internship and the potential of each to develop skills essential for successful patient care. Furthermore, resident and fellow panels provided critical information to students putting together IR residency applications. Topics covered included operating-room skills that medical students should master prior to IR sub-internships, setting up away rotations in IR, obtaining quality letters of recommendation, what to expect at residency interviews, and the critical role of diagnostic radiology training. Many of these topics can be found as blog posts on the medical student section at the SIR website: http://rfs.sirweb.org/medical-student-section/. Students were also exposed to current technologies in IR via an attending-guided tour through the SIR Technical Exhibition Hall. This hands-on experience allowed us to explore vendor stands and compare devices. Each attending provided insight on their area of expertise and discussed the technical aspects of each device, highlighting how various types of catheters, IVC filters, and other materials will be utilized during our IR rotations. Attending these types of sessions, you will gain a better understanding of how to approach the residency application process as IR enters a new and exciting phase in its development as a medical specialty. A critical value that drives the annual SIR meeting is the idea of innovation. Students are introduced to the history of IR and the exceptional individuals who nurtured its growth and developed it into an exciting area of practice at the forefront of medicine. Learning about Dr. Charles Theodore Dotter and his relentless drive to invent new interventions for patients was extremely inspiring. 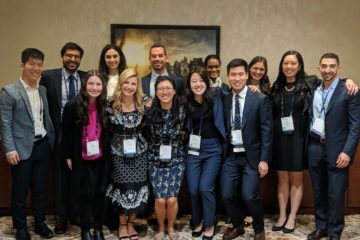 Moreover, the fact that these innovations continue to be expanded upon by others following Dotter’s example was evident through the new techniques and device development projects that current students, residents, and fellows presented at the Medical Student Days. 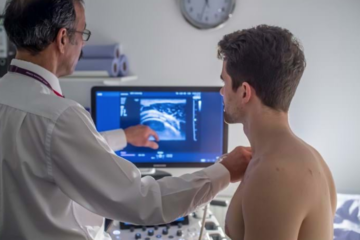 While IR developed under diagnostic radiology, its growth and innovation have made it a versatile component of various areas of medicine. Presentations highlighting key intervention options in vascular medicine, renal medicine, hepatobiliary medicine, women’s health, and men’s health, together with an overview of concepts in interventional oncology, gave students a broad understanding of the breadth of practice that IR encompasses. For those interested in exploring the current role of IR in patient care, we encourage you to explore the Clinical Lecture Series, Evidence-based Lecture Series, and IR Journal Club on the Residents, Fellows, & Students section of the SIR website. As IR transitions to a primary specialty, a focus on longitudinal care will become an inherent aspect of its everyday practice. The future of IR will hinge on direct patient care and a positive patient experience. In order to generate successful patient outcomes, current trainees will need to learn how to communicate with referring providers, work with support staff like physician assistants and nurse practitioners, and importantly, how to create a positive experience for patients in a clinical setting. This focus on clinical care, together with the innovations driving IR forward, will shape its future. We encourage all medical students interested in pursuing IR to apply for the Medical-Student-in-Training (MIT) scholarship offered by SIR. Through this scholarship, students have an opportunity to attend the SIR Annual Scientific Meeting with the cost of attendance defrayed by a generous stipend that contributes to travel, board, and various expenses that may arise during their stay. Scholars also have access to special pre-meeting materials that highlight the history of IR and provide an in-depth overview of the field. Most importantly, scholars are provided with the opportunity to attend special sessions and lectures that allow them to develop relationships with current residents and individuals who are heavily involved with SIR. SIR goes to great lengths in order to make the annual conference accessible and worthwhile to medical students. The application process is straightforward and consists of essays that help SIR learn your opinion of the field, what motivates you to pursue IR, and your analysis of IR’s future. In order to develop an understanding of IR, we suggest that you utilize the medical student section of the SIR website, visit the RFS website, subscribe to the SIR newsletter, and follow developments on the Journal of Vascular and Interventional Radiology. SIR 2015 in Atlanta, GA was a highlight of my medical school experience and we hope to see you at SIR 2016 in Vancouver, Canada.